Why won’t Obama arm Human Rights Watch? Video of a Bahrain Defence Forces unit on the Budaiya Highway near al-Qadam, March 16, 2011. Visible are an M113 in front, with three others behind it on the ground and on the flyover, a Humvee, and a tank, possibly an M60. All are likely there thanks to US arms sales. Bahiya al-Aradi, a Bahraini woman, and Stephen Abraham, an Indian guest worker, were murdered nearby the same day, probably by the same forces. A couple of good pieces in Salon yesterday bear on the street cred the Obama administration has been getting for its embrace of LGBT people’s human rights. Kudos to Barack and Hillary again. Just remember: other people are getting killed. We’re further told that State is keeping the exact items in the sale secret, but is claiming they are for Bahrain’s “external defense” and therefore couldn’t be used against protesters. Of course, that’s the same argument that State made about the first arms package, which was undercut by videos showing the Bahraini military using Humvees to suppress civilian protesters. It’s not just Bahrainis. Glenn Greenwald observes that Defense Secretary Leon Panetta has reaffirmed, with no public scandal attending him, that Obama can kill any US citizen he likes without a trial. In other words, what happened to Anwar al-Awlaki, US passport-holder killed by a drone in Yemen, could happen to you. Panetta’s whole case rests on simply asserting, without proving, that Awlaki was a Terrorist trying to “kill Americans.” That, of course, is precisely what is in dispute: actual Yemen experts have long questioned whether Awlaki had any operational role at all in Al Qaeda (as opposed to a role as its advocate, which is clearly protected free speech). No evidence has been publicly presented that Awlaki had any such role. We simply have the untested, unverified accusations of government officials, such as Leon Panetta, that he is guilty: in other words, we have nothing but decrees of guilt. In the space of three years, the administration has built an extensive apparatus for using drones to carry out targeted killings of suspected terrorists and stealth surveillance of other adversaries. The apparatus involves dozens of secret facilities, including two operational hubs on the East Coast, virtual Air Force­ ­cockpits in the Southwest and clandestine bases in at least six countries on two continents. Other commanders in chief have presided over wars with far higher casualty counts. But no president has ever relied so extensively on the secret killing of individuals to advance the nation’s security goals. 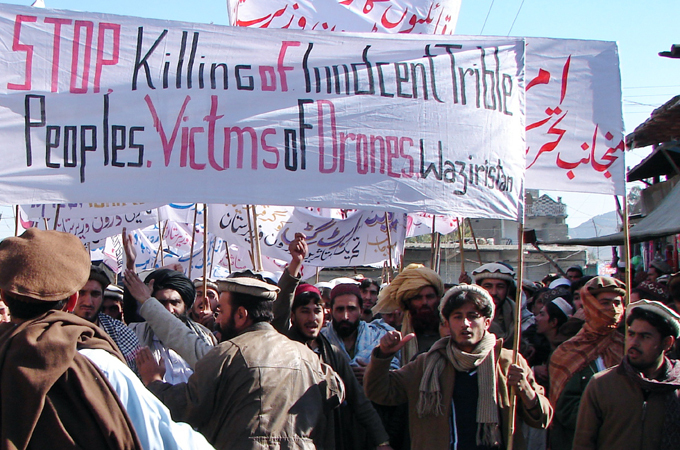 As a report last year by the Bureau of Investigative Journalism showed, of some 2,300 people killed by US drone strikes in Pakistan from 2004 until August 2011, between 392 and 781 appear to have been civilians; 175 were children. … As soon as an agency claims “we never make mistakes”, you know that it has lost its moorings, as Aleksandr Solzhenitsyn suggested in his story of that title. Feeling no obligation to apologise or explain, count bodies or answer for its crimes, it becomes a danger to humanity. It may be true, as the US air force says, that because a drone can circle and study a target for hours before it strikes, its missiles are less likely to kill civilians than those launched from a piloted plane. (The air force has yet to explain how it reconciles this with its boast that drones “greatly shorten decision time”.) But it must also be true that the easier and less risky a deployment is, the more likely it is to happen. In other words: it might be the case that a drone kills fewer civilians than targeted bombings by humans. 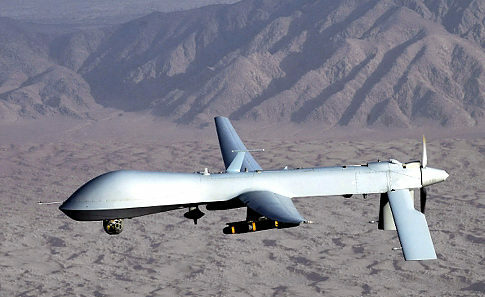 But we’ll use the drones even more than bombers, as Obama does, because they don’t put any humans on our side at risk. Hence more civilians will end up dead anyhow. Indeed, why wait for the evil to be done? If you can predict someone is going to commit atrocities, by recording their conversations, or watching who they meet with, or Googling their blogs for “genocide,” why not act pre-emptively? (Oh, my God, how can I keep Google from registering this post? Now I will look up every time I step outdoors.) After all, that’s what the Obama administration says it’s doing: Didn’t al-Awlaki die, ostensibly, to save others from dying? And you do have to wonder. Human rights activists tout their endorsement of due process; but in secret, all too many long to become due process, expropriating the roles of police, prosecutor, judge and jury. “Granted the chance,” as George Monbiot says, “to fulfil one of humankind’s abiding fantasies: to vaporise their enemies, as if with a curse or a prayer, effortlessly and from a safe distance” — granted the chance, how many of our unco guid, our insistently righteous, could keep on saying no? This entry was posted in Human Rights, LGBT Rights and tagged Anwar al-Awlaki, Bahrain, Barack Obama, drones, extrajudicial killings, Greenwald, Human Rights Watch, Leon Panetta, Oh god why is that thing circling in the sky why is it heading this way oops by scottlong1980. Bookmark the permalink.